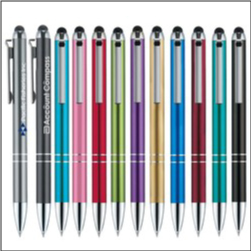 Order Custom imprinted Pens with a Stylus Tip – these popular promotional marketing items are perfect for business, around the house, municipal events, and more. These dependable ballpoint pens are perfect for any situation where you might write and also use a stylus on a smart phone, tablet, touch-screen laptops, and more. Many colors available. Brushed chrome look. Each packaged in black felt sleeve. Order your custom stylus pens today! Order Custom Imprinted Fitness Gift Sets – great to use as a company appreciation gift or holiday giveaway, gift set for gym membership sign ups and more. 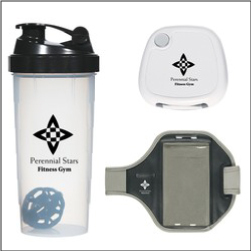 These great kits feature a 24 ounce shake it up bottle (item#5678), a large smart phone arm band (item#7979), and a pedometer (item#4018). 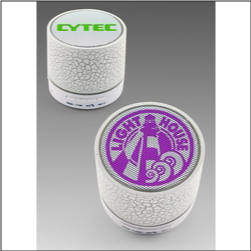 Set includes 1 color imprint in 1 location on each item. These make perfect competition race sign up giveaways, school and booster fundraising, gym and recreation center gifts, and more. Order your custom Fitness Gift Sets today! 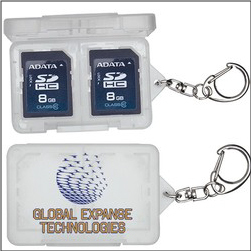 Order Custom Imprinted SD Card Holders with your business logo on them from Colorado Promotion. These storage containers hold 4 SD or XD cards, keeping them safe for travel, photography outings, hiking and camping, computer phone and tablet work, and more. The handy snap keychain will keep the container safely attached to your backpack, laptop bag, travel bag, inside of your photography pack, etc. A must for photographers and anyone who uses SD memory cards on a daily basis. 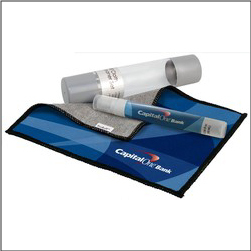 Order custom Imprinted Lens Cleaning Kits – these professional cleaning sets come with a soft cloth and contain screen and lens solution. 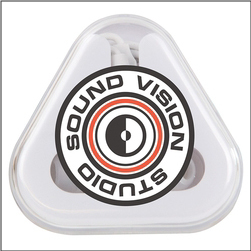 Great for cameras and photography, smart phones and tablets, computer and laptop and tv screens, glasses, and more. 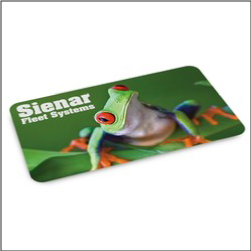 Great for trade show giveaways for photography promotion, tech, smart phone marketing etc. 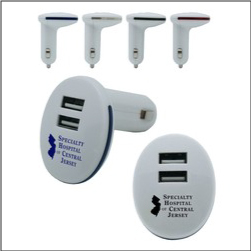 Order Custom Printed Car Smart Phone Holders perfect to handout to your clients and customers to place in their vehicles, on windows, etc. 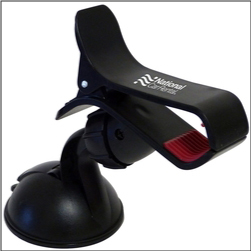 Holder comes with a powerful suction cup for mounting on smooth surfaces. Silicoe lined grip keeps your smart phone device secure in holder with 4 inch wide grip for larger phones and GPS mounts. 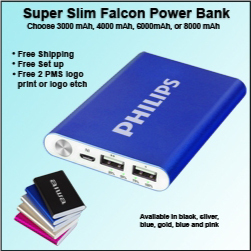 Order custom Imprinted Slim Power Banks – an upgraded option for power banks with more capacity! These power banks can come in different capacities, up to 8000 mAh – nearly 4x the average power bank size. Clients will love these unique smart phone and device rechargers! Great for construction, builders, contractors, realtors, and more. Colors come in blue, silver, gold, pink, and black.